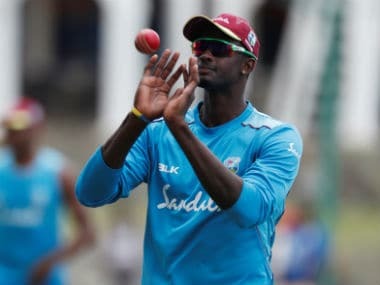 Antigua: West Indies captain Jason Holder won the toss and put England in to bat in the first one-day international at the Sir Vivian Richards Stadium in Antigua on Friday. Playing in his 50th ODI, Holder’s decision to bowl first would have been influenced by the early-morning showers which delayed the toss by a half-hour and returned following those formalities to further push back the start of the match. 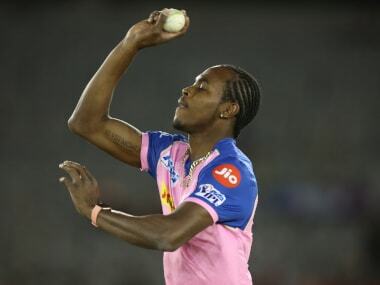 Exciting all-rounder Rovman Powell was surprisingly omitted from the final eleven with Jason Mohammed returning to the middle-order. Both specialist spinners, Devendra Bishoo and Ashley Nurse, have been chosen to exploit a surface expected to offer assistance to the slow bowlers, notwithstanding the unseasonal rains. With Alex Hales sidelined by injury until the final match in Barbados in six days' time, Sam Billings opens alongside Jason Roy at the top of a batting order with noted power-hitters Ben Stokes and Jos Buttler separated by the classy Joe Root and captain Eoin Morgan. 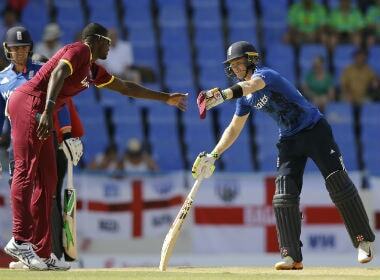 Like the West Indies, they have gone the way of a twin-spin option in Moeen Ali and Adil Rashid. West Indies – Jason Holder (captain), Evin Lewis, Kraigg Brathwaite, Kieran Powell, Shai Hope (wicketkeeper), Jason Mohammed, Jonathan Carter, Carlos Brathwaite, Ashley Nurse, Devendra Bishoo, Shannon Gabriel. England – Eoin Morgan (captain), Jason Roy, Sam Billings, Joe Root, Ben Stokes, Jos Buttler, Moeen Ali, Chris Woakes, Adil Rashid, Liam Plunkett, Steven Finn.